The first episode is a simple, breezy affair with its fun moments. The characters indeed are relatable, and there are moments when you get the ‘been there, done that’ vibe. After ruling the web space with Pitchers, Tripling and Tamashree, Maanvi Gagroo is back with Four More Shots Please. 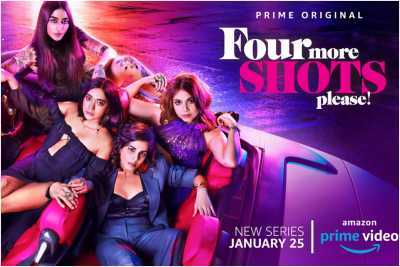 The 10-episode series, also starring Sayani Gupta, Kirti Kulhari and Bani J, celebrates friendship and womanhood. Gagroo recently sat down with indianexpress.com to talk about her new project and working with an all-girls team.